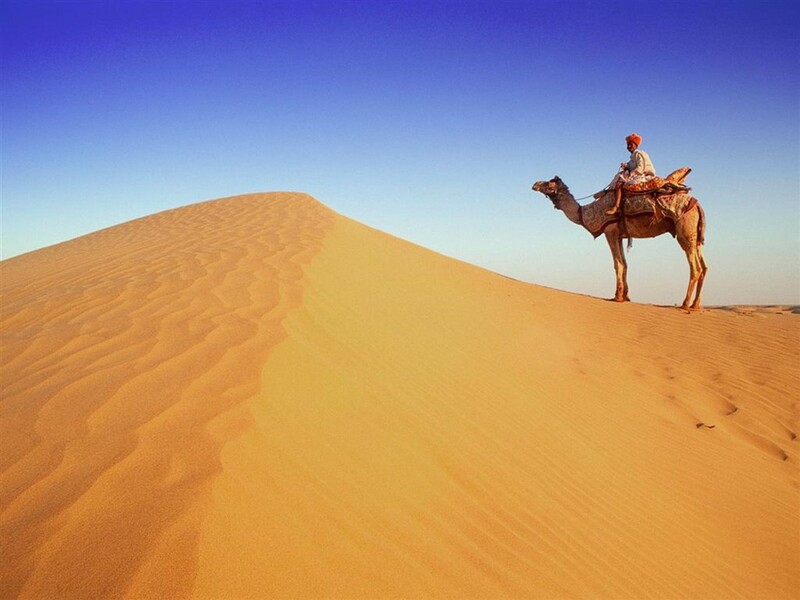 The ships of desert, Camels, are marvelous creatures who will transport our baggage, and enable us to discover some of the beautiful and relatively unexplored regions of Bikaner, Rajasthan (India). There are no hard and fast rules regarding your safari as each expedition is unique in itself. With Bikaner Camel Safari Private Limited, en route you and your friends or family are the only ones for miles around the starting and finishing point. Your safari depends on your personal interests, but for your convenience, the details will be made available in advance for your approval. You need not be super fit like "He Man" for this great endeavor but just a little resilient. You will be provided with expert guides, well versed in bush lore, botany, Orinthology and take pleasure in sharing their knowledge with you. Once you are in rhythm with your surroundings, habitat, your expert guide will explain a rough plan of your expedition. Your camel syces are a source of strength, guiding by day, and guarding by the night. The Place - Our safari is of one to six days. We also make overnight safari with camp stays.